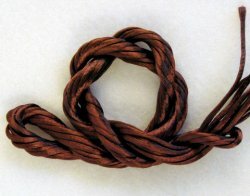 Brown satin cord in #0 petite weight, as smooth as melted chocolate. 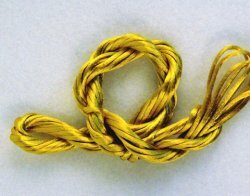 Gold satin cord in #0 petite weight, the bright zing of spicy mustard. 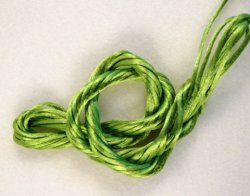 Bright green satin cord in #0 petite weight, the crispy coolness of a green apple. 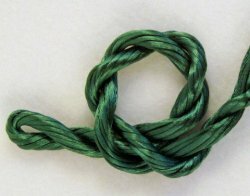 Green satin cord in #0 petite weight, with the lushness of garden greens. 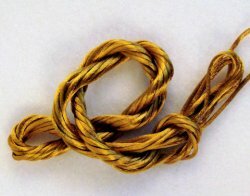 Antique gold satin cord in #0 petite weight, has the vigor of an imported dark mustard.